The Art Institute of Indianapolis, is hosting a fashion show on October 28th, 2010 at the Scottish Rite Cathedral. And I have heard from many sources that this will be a wonderful, artistic and creatively produced show. 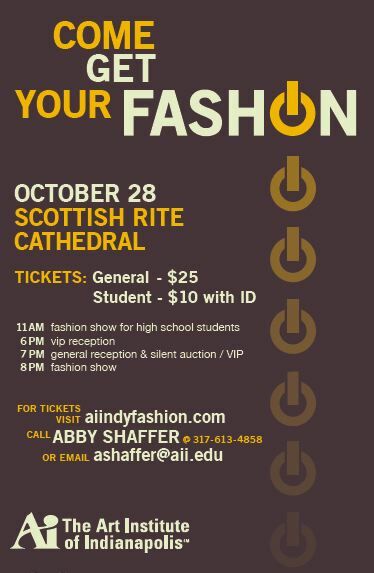 This show will not only display fashion design students, but also, fashion retail management students. This important fact leads me to believe that there may be visual displays or dressed mannequins throughout the cathedral. Say my idea of dressed mannequins is not such a good one. Either way I am sure that the Art Institute will invoke the senses and feed the fashionable appetites of all those who attend. Will I see you there!? !